Our 7X series of conveyors, also known as our AquaGard and AquaPruf platforms, take food handling conveyors to a whole new level. Designed for fast and effective sanitation and protection from contamination, our 7X line provides the same Dorner quality and flexible designs as all our systems. We are also proud to offer the only USDA certified conveyors in the industry: the AquaPruf 7400 Ultimate and 7600 Ultimate. 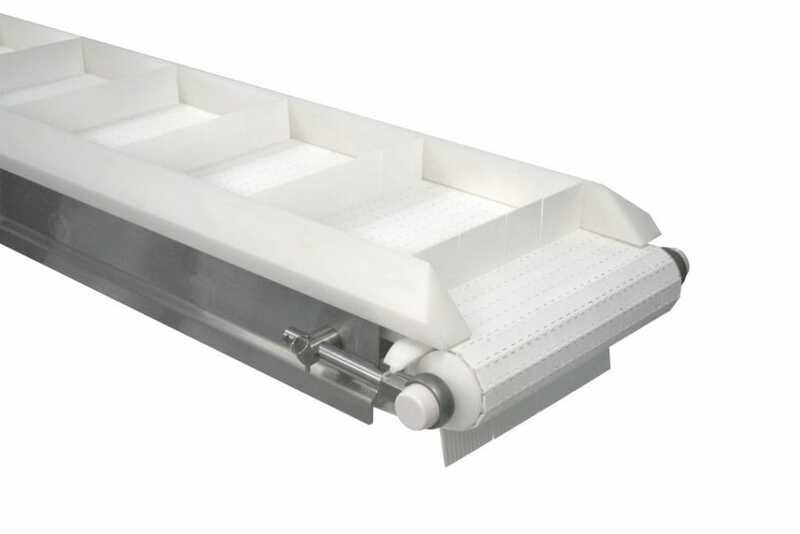 They are the only modular conveyor on the agency’s list of accepted equipment for the meat and poultry industry. 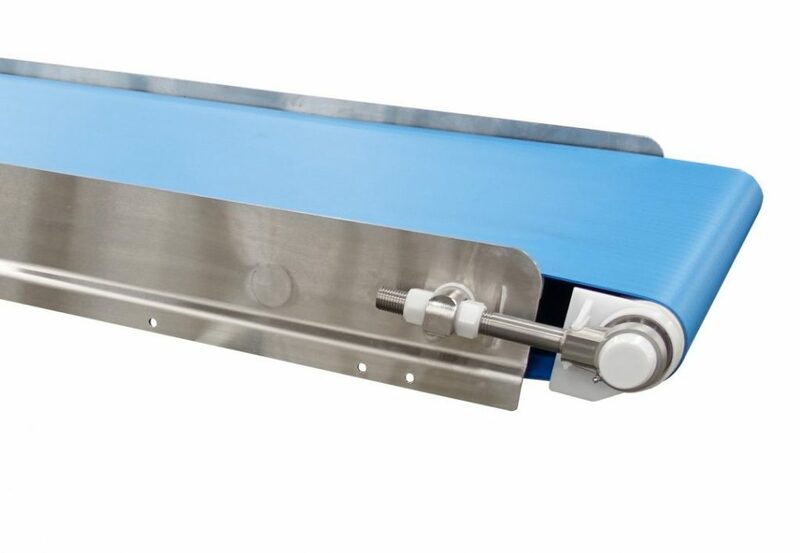 Made of welded stainless steel, plastic chain and belts, our food processing conveyors are designed for fast, safe sanitation in any environment. 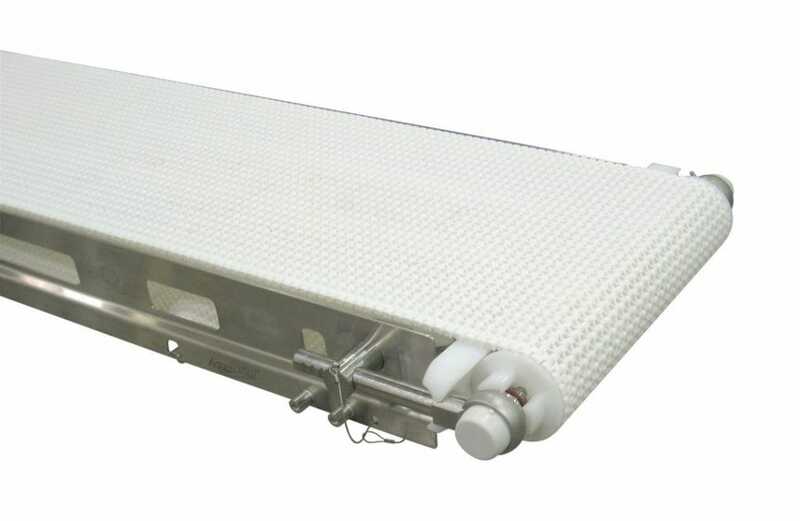 With high-pressure sanitation requirements, which include the food, medical, and pharmaceutical industries, our food grade conveyor belts are the perfect solution for your warehouse or factory. AquaGard & AquaPruf models can be disassembled in less than 2 minutes without tools for effective sanitation with less downtime, making them 100% accessible for cleaning in seconds. This unique design makes it easy to wipe down and provide daily high-pressure wash down with chlorinated cleaners. 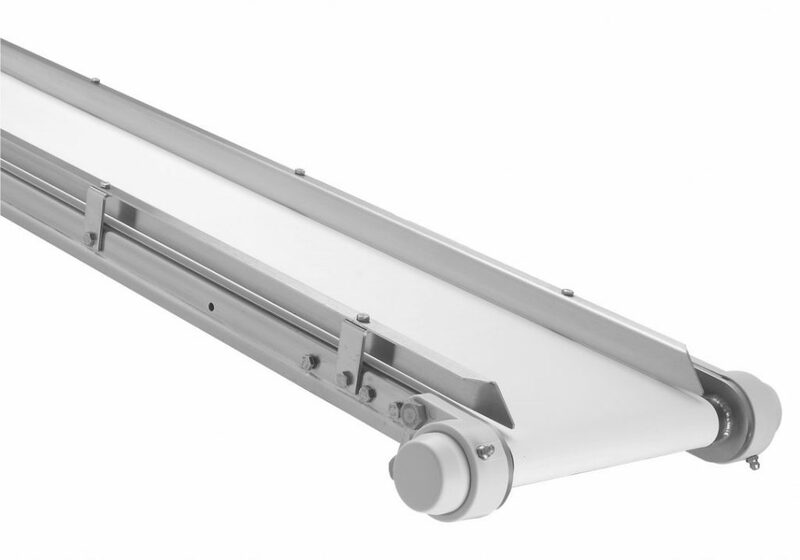 In fact, the unique design is what allows our 7X series of conveyors to be so sanitation-friendly. 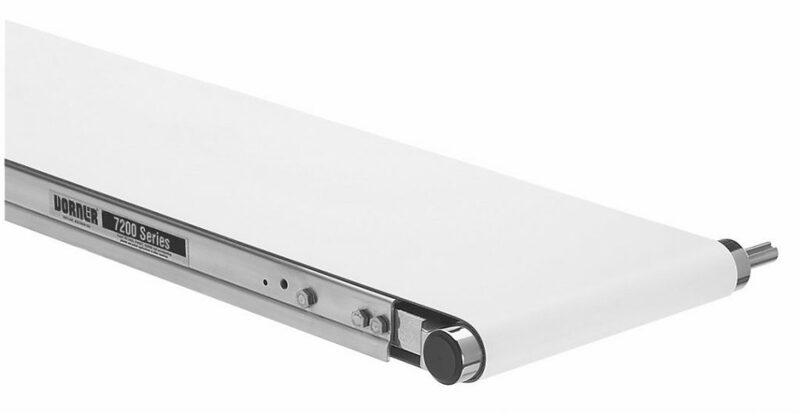 The welded frame has rounded frame members and minimal fasteners in food zones for easy cleaning. 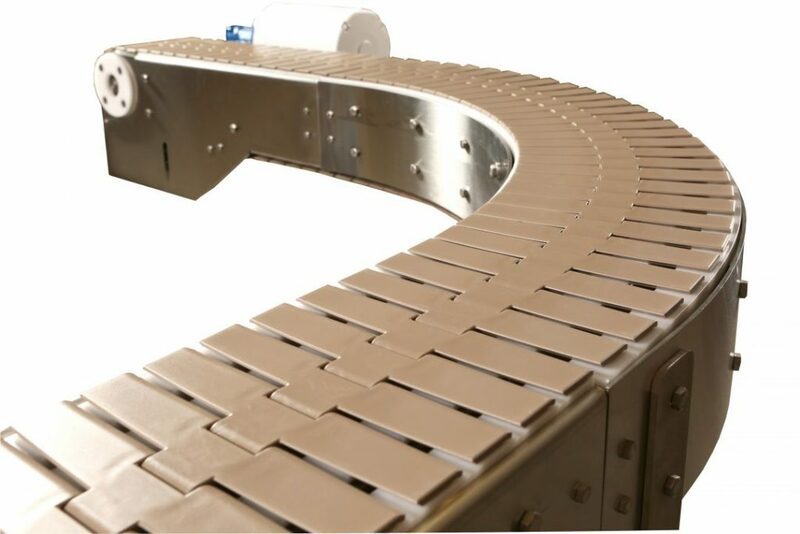 The flanged belt tracking works well with our plastic chain design, while the systems also provide V-guide tracking for the conveyor belt itself. 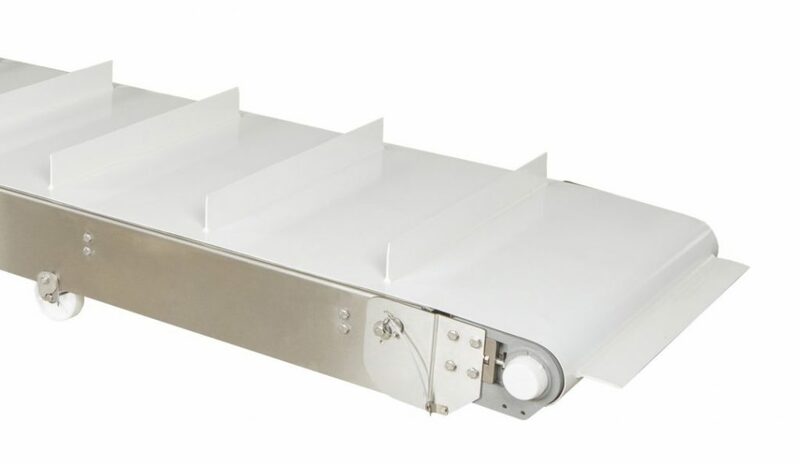 The 7X series can be used as the mainline conveying system, or a hand packaging station. The series also includes straight and curved sections, tip up tails, nose bar options, any length and width as our standard products, and center drives. The 7X series can also be customized to fit your needs. 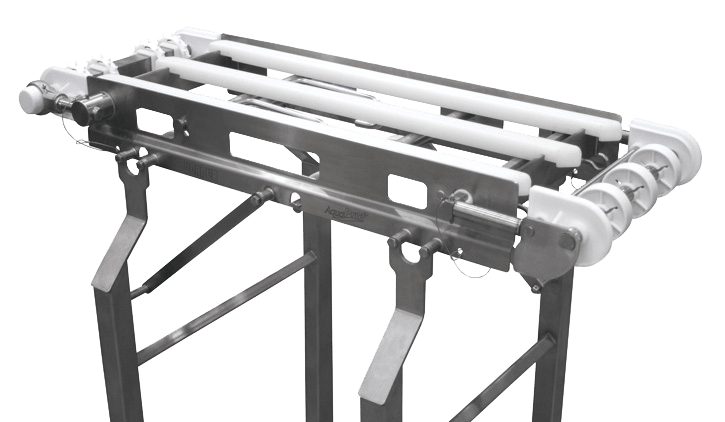 Protect your cutting-edge sanitary conveyors with our 10-year warranty, offering fast and friendly installation services. 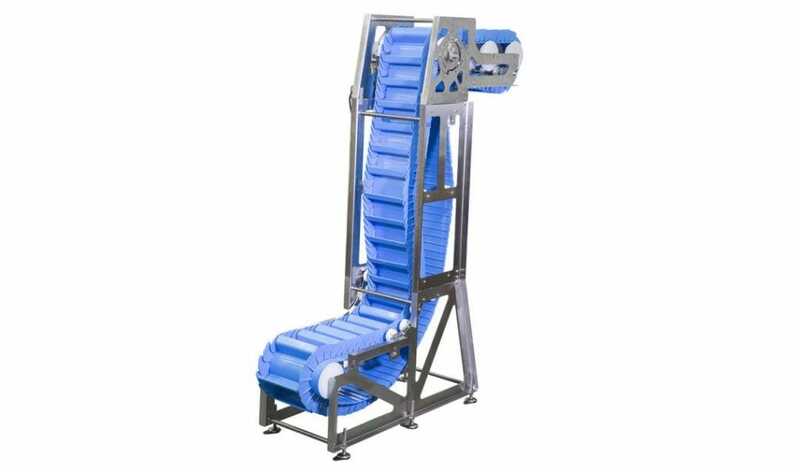 Our sanitary food conveyors can handle both small and heavy loads and are designed with the same flexible capabilities and options as all Dorner equipment. 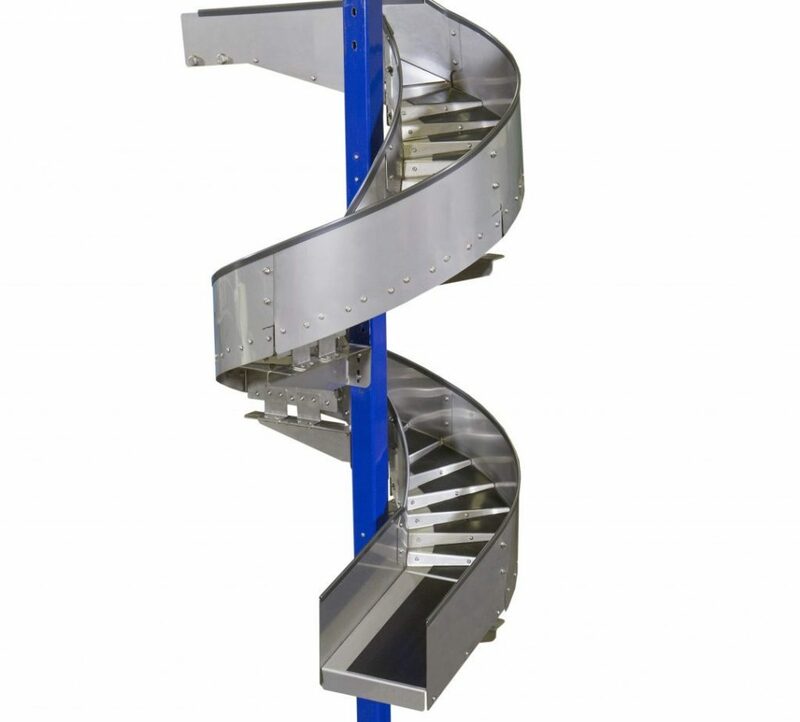 With both stainless steel and plastic components, these conveyors are engineered to make tight turns, maximize available space, and can be configured for inclines and declines. 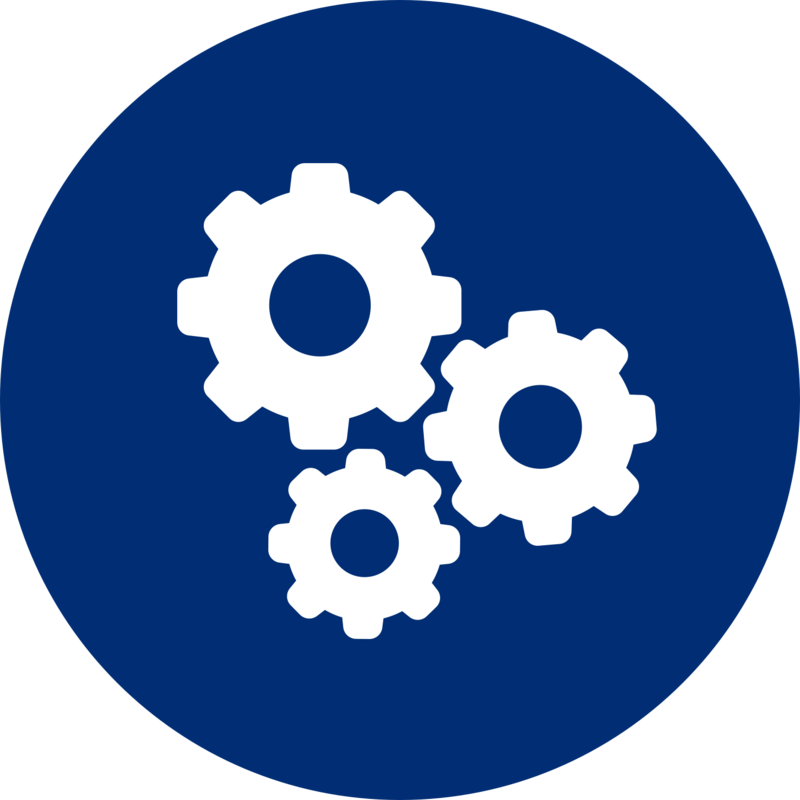 With so many regulations in the food manufacturing industry, it’s imperative to ensure you have the best equipment to handle the sanitation process quickly and accurately. Dorner understands the pressures of the food and medical industries and the high standards to which you are held. By providing you with a series of conveyor systems that not only meet FDA regulations and safety standards, but also USDA standards, Dorner can help ensure your line meets all the necessary requirements for safe product handling.